When people think of the multitude of possibilities presented by virtual reality technology, reading a comic book probably doesn't land high on the list, assuming it comes up at all. However, VR is designed around giving people the kind of entertainment they enjoy in an engrossing new form factor, and given that countless millions across the globe enjoy comics and manga, it should come as no surprise that the two would eventually come together. Square Enix began teasing this blend of virtual reality and comics back in 2013 in an experiment called Project Hikari that was designed to run on the old Oculus Dev Kit 1. What the company came up with was much more than a simple VR viewer for static comics — instead, Project Hikari evolved to something akin to virtual reality-based animation. It seems like the work has paid off, too, as consumers got their first look at the project, now dubbed Tales of the Wedding Rings VR, at last weekend's New York Comic Con. As might be expected, the viewing experience in Tales of the Wedding Rings VR is passive — there's no element of control within the experience outside of the type of viewpoint manipulation inherent to VR. 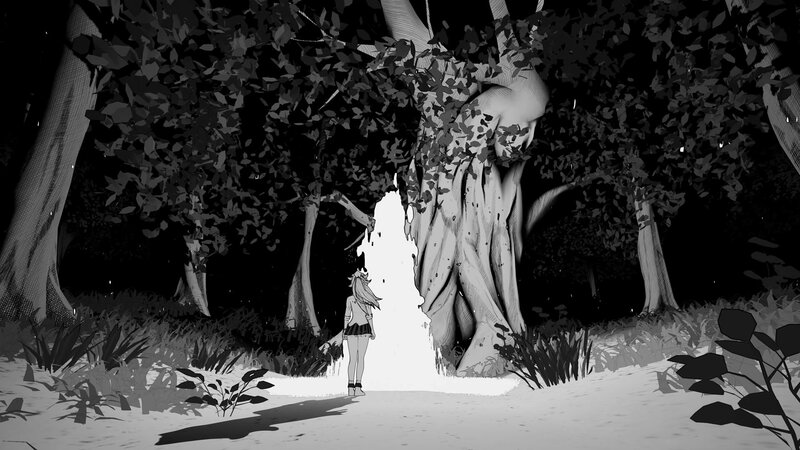 The start of the demo sees users standing in an open environment, and after looking around a bit, live comic tiles come into display, and the story begins to unfold. Though dialog is spoken, Tales of the Wedding Rings VR also presents standard speech bubbles akin to normal comics and manga, which helps solidify the comic-like experience. This notion is further reinforced with split frames — characters in one panel can be speaking to characters in another panel, and the person behind the VR headset can see both simultaneously. It'd be pretty easily to label the whole experience as a mishmash of other experiences, and that's fine, because that's essentially what the demo is. It would seem a little reductionist, however, as VR comics can be considered an entirely-new medium where animation and art collide with more traditional paper-based entertainment. Given enough time and enough popularity, it may be that future comics are offered with special VR experiences — or even that VR comics may grow to outpace traditional comics altogether. Keep up with the latest and greatest tech to hit the mobile market by checking out Modojo's list of the Best Mobile Accessories.